Administrators: Double check that the Chat toggle is turned on for your Beacon. Make sure you’re available to chat by setting your User availability to Available. Get familiar with the Help Scout chat interface. New chat requests appear in the sidebar with a red Waiting label. To start chatting with the customer, click the chat, then hit the green Accept button. You can also start typing to accept the chat. Remember, how many chats you can handle at once is defined on your profile page using the Maximum Chat setting. If you’re not looking at the chat interface, no worries, keep an eye out for chat notifications when a new chat comes across. As you start chatting with a customer, it’s helpful to take a quick look at what the customer has viewed or where they’ve been prior to asking for help. Click the Show activity and details button at the top of the chat to explore Beacon history. If you’re using the .identify method with Beacon, the data you’re passing through shows in the Beacon sidebar app. You can add or remove tags on a chat at any time during the conversation. Tags that you apply to the chat will become part of the email conversation that’s created when the chat ends. 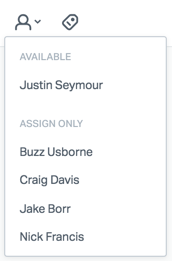 Remember that tags are global across mailboxes in Help Scout, which means all tags are available for use in chat. 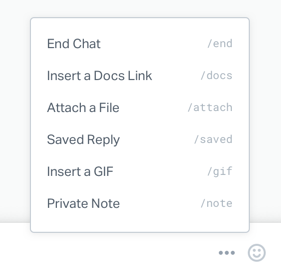 The Options Menu contains a few productivity actions to help you work through chat requests. You might want to assign a chat to another team member if you need help, or if you’re done chatting for the time being. Click the Assignee icon to assign the chat. You can assign the chat to Users who are Available, or Users who have their status set to Assign Only. Only one User can be assigned to a chat. Other Users viewing assigned chats are able to add private notes in real time, but they cannot reply to the customer. If a chat has been accepted by a User it will remain active as long as chat messages are being exchanged. If there has been no customer response in 25 minutes, the Help Bot will advise them that the chat will close soon if they do not respond. After 30 minutes of inactivity the chat will automatically end. If no User accepts a chat after 5 minutes, Help Bot will apologize to the customer and close the chat. 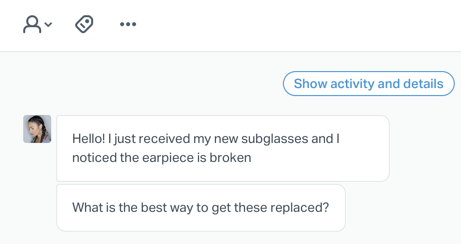 Any messages the customer sent while waiting will be saved in the chat transcript that will go to your Unassigned view as an active conversation. Any Users who were available at the time a missed chat occurred will be automatically set to Assign Only and a notice will display on their Help Scout windows advising of such.